1 How many Euros € to a dollar? 8 How many Swedish Kroner can you buy with £400? € 1 = £ 0.675 (having been up to £0.71) $1.91 = £1 rising steadily from around 1.40. There was a short while when $1 = €1. Interested? Take up Economics! 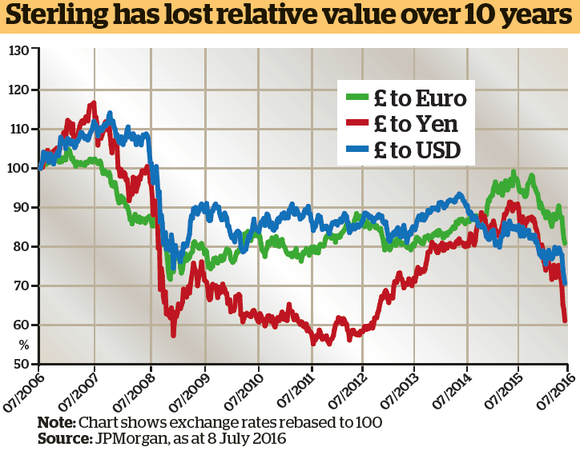 I’d like to see a 3-d graph showing the relative movement of the dollar, Euro and pound sterling. I found this, a poor version but no doubt suitred to its needs at the time.